You might be wondering what GNS3Vault is all about? Dynamips is software that lets you run Cisco IOS on your PC or Laptop. In other words, you are now able to run multiple routers on your own computer, so you don’t need real hardware anymore. This is convenient in many ways…no more cabling, no need to buy used hardware on eBay, no high electricity bills! GNS3 is a GUI for Dynamips which makes your life even easier. GNS3Vault was built by Rene Molenaar, a freelancer dedicating his time to IT. The idea behind GNS3Vault is to have a single resource with labs ready for you to download and start configuring. All labs have the same format, and they are categorized in a number of technologies. Scenario: A short story about the lab, and what you need to achieve. Goal: The goals you need to achieve to finish the lab. IOS: The IOS version that was used to build the lab. Topology: Picture to show what the network looks like. Video Solution: some of the labs have a youtube video explaining to you how to solve the lab. GNS3 is the name of the software. Vault because this website will be like a vault full of interesting stuff….in this case, labs! Thanks for the site, it should be very useful as I strive to get my CCNP. About the loopbacks…it doesn’t matter if you use a /24 or /32 or something else, it all works. In a real life situation you probably won’t do this because you are wasting IP addresses if you use a /24 or something. For this lab, if you forget about the ‘no auto-summary’ command in EIGRP, then by default it’ll summarize to classfull networks, in this case to 172.16.0.0/16. I have been trying to use the 3640 IOS as a switch as it has been said it can support both switching and routing.Because it does not support the VLAN command I am new to networking I was trying (interface vlan1) and it does not support vlan.Plaese assist me if that is possible. The 3640 has “some” switch features but the commands are completely different from a real switch. Personally I think it’s useless if you want to learn switching. It’s better to get 2x Cisco 2950’s or something and practice with that…then you’ll learn the same commands you need in real life or for the exam. Hi.. just one question.. why dont you post the solutions to the labs? I think it would be great as it helps you to check what are the errors that you make or get in perspective what might be a better solution. I´ve done other labs posted in another web-sites and this helps a lot. Hope that you might consider this as your website is great. Thanks for your input. I will for sure add all the solutions for the labs, it’s just a matter of time. It takes me not much time to create a lab, since there are a lot of labs that I configured in the past or use in class when i’m teaching. My goal is to have a video walkthrough for every lab, the startup config and the final config. Check out the basic MPLS VPN lab for an example. Great job on the site so far! I just did the EIGRP beginner lab and it was spot on. I like how you don’t have the solutions posted, so I had to do some of my own research. The OSPF Over Frame-Relay: Point-to-Point FinalConfigs are actually the starting, configs. Can these be reposted with the actual final configs? Can’t register to download GNS3 labs. It says the input data is not valid on username and email fields. Are you using any special characters in your username or password? Last 2-3 days about 30 people registered with new accounts so i’m not sure what is going wrong for you. See if another username/password works…otherwise send me a mail info@gns3vault.com and i’ll create an account for you. Sorry for the inconvenience! Thanks for creating the site, but I am trying to retrieve a lost password. Then I get the token and link via email, I go to the link, enter the token, but always gives me token invalid. I have tried this numerous times. hi this is venky..i am new to Gns3vault,i am not able to create new account..please help me,thanks in advance. I want to join this forum but i am not getting how to register here because there is no registration option. Kindly tell me plz. I am a CCNP student, and I thought of buying actual switches for the CCNP Switch exam. Could you please tell me the number of switches and the model of switches that I need for my exam. Since GNS3 has great Route abilities, I have decided to spend my lab funds completely on Switches. Hi… in your building CCIE lab post I saw that you used DLINK 580 tx to build your server but I am having a hard time finding those on ebay. I found 570 tx instead and want to know if those should work fine too or if you know of another model that will be stable. I also see tha you used Ubuntu, what verision did you installed on your box? Thanks!!! I think the 570TX will work just fine. I used the latest version of Ubuntu 11.04 but any version or any other linux distribution will work just fine. Ubuntu was the fastest way since it has GNS3 in its repositories. Thanks for all the good stuff here. Please allow a question: When I register for an account, I am forced to define a strong password for the account credentials but you send it in an open email back to me. Why do you do so? Caused by this security issue my “strong” password is not longer strong but very weak because you have shown it to “everyone” on the internet and if the registering member uses a systematic to build his passwords on the net than you give away his secret without any need. An additional point: please think about to use an SSL certificate to secure the accounts by enabling https. You can get it for free on CAcert.org, thx. Hi. I’m taking the CCIP, then I’ll be going for the CCNP… and who knows, maybe one day the CCIE. I’ve been searching for GNS3 labs on the web, because until now I made them all by myself, but now I’m getting lazy. – Labs are very neat, well documented and explained, and they also have the final solutions and a video tutorial. – Labs are organized, are they cover a lot of topics. One suggestion: I saw your post where you say the recommended order for the MPLS labs. That was great for me, since it’s what I’m studying now. I would like to see more of that: topics suggesting a certain number of labs, in a recommended order, to cover a certain Cisco exam. Also, it would be nice to see more switching labs. Another suggestion: having few labs is bad, but having lots of them can be also bad if they are redundant, because people get lost searching for them. The best balance is achieved having just the right amount of labs, or by having those recommendation lists I talked about. Thanks for your great comment. It’s really good to hear that you like my stuff here! There are many labs now that cover one single feature, basically everything you can find on the CCIE R&S blueprint but now some of the other labs are harder to find. Once I have a little more time I’ll create “blueprints” with all the topics you need to know per exam/technology and in what order to do them. That’ll help people. Thanks for showing me this, seems I was a little too quick with copy/pasting those subnet mask tables 😉 I’ll fix it. Thanks for good site. I am preparing CCNP route exam and it helps to configure topology based scenario by myself and verify it with video. Hi, this is Tokuhisa Maruyama. We always let me enjoy studying. No problem, but I would have thought to introduce a video? I am allowed scenario has been used as is. The URL of my blog. It’s fine by me if you create a video of the lab solution in Japanese and post it on your website. As long as you give credits to GNS3Vault for the lab and don’t copy the articles 1-on-1 to your blog it’s all good! Good luck studying and I wish you the best. The computer where I have downloaded your books has crashed and unfortunatly I did not backup this part. How can I find back what I have purchased ? Best Regards and thank you for doing what you do !!! You should be able to re-download them. Do you still have the e-mail you received after the purchase? If not send me an e-mail with your e-mail address so I can re-send you the download link ok? i purchased the ccna book and paid with paypal and want to know where do i download it from? as i didnt receive an email with the link. If you didn’t receive the e-mail with download instructions, please send me an e-mail and I’ll make sure you receive them again. Sorry for the inconvenience. I emailed you my details, thanks. i am thinking of purchasing the subnetting , ccna, and route/switch books. Would there be a discount? Thanks. I just sent you an e-mail 🙂 thanks for your interest! Which Youtube video are you referring to? I’ll take a look and see if it’s something I can re-create. when trying to run this GNS3 Topology File in my GNS 3 which i have downloaded from the above link. hi rene, how are you? i have only little bit background with network, currnently my work is IT but i am interested in network, i just confused how to start. can you advise me please! thank you very mych. Doing good here, just got back from vacation 🙂 If you are new to networking it might be confusing because you don’t know where to start. I would recommend to study CCNA. You can take a look at my "How to Master CCNA" or take any other networking book. On this website you’ll find all the labs you need for CCNA to practice. First read the theory and then do a LOT of labs until you truly understand how things work. Thanks a lot Rene, it really works for me. Just purchased the CCNA/CCNP Master docs and they are terrific as is the website!! I was wondering if there is a centralized repository for all the GNS3 labs available for download instead of individual labs. Thanks for your message and your support 🙂 Glad you like my material! At the moment there is no centralized repository. I’m not sure if I’m going to add one because I do want people to return to my website 😉 I’ll think about it ok? I have seen your Videos & they are very helpful especially whenever i stuck in some lab. I have downloaded most of them from you tube but many are still left. I request if you can make a Playlist link for all the Videos you have posted in you tube so that i can download them all at once. i would like buy all CCNP route/switch/TSHOOT.. Please give me a discount of your CCNP Bundle because I’m interested to get all the packages. I want to buy the CCNP package with subnetting book. How much does it cost in total? "Like all my products, "How to Master CCNP ROUTE, SWITCH and TSHOOT" are covered by a 60 day, unconditional money back guarantee. This means that, if at any point in the [b]next [i]0[/i][color=red][/color] days[/b], you decide you aren’t getting the value you expected out of the guides, you can simply send me an e-mail and I’ll return your money no questions asked. It’s on the page with e-books, I believe that there should be "60" instead of "0"
I’m not a Sys Ad, so I’m not sure what I did wrong. I tried uninstalling the latest version of GNS3 (clicked on "uninstall" from the start menu) and watched it delete files from all over my laptop. I stopped it by powering my machine off. Had I not been watching it may have gutted my machine. You ever hear of that? I did deviate from its default settings when I installed it in the first place. It wanted to install in User/GNS3 folder (or seomthing like that). I chose to put it in C:Program Files. I’m slowly gaining my operations and funtionality back, but just wondering if you ever heard of such a thing. Thanks for your time sir. I recently purchased the "How to Master CCNP TSHOOT" book but never got the "recieve your product " button when purchasing. Can you please send it to me? See me receipt below. Are the books available physical or are in PDF format. Hi I am currently preparing for CCIE Lab. I would like to practice GNS3 labs but i cannot even make run GNS3 on my laptop. Can you help? I’m studying in computer networking technology, I enjoyed the site and laboratories’m doing the monograph, a laboratory must configure ip mpls vpn, however between the CE and the PE must configure frame-relay, but I can not, I’m already desperate , you can publish a lab like this? The ICND1 final configs does not have the topology.net in the folder. The ICND1 doesn’t have the cfg config file. I can’t get it to run within the GNS setup. Please advise? The ICND2 Assessment does work c/o it has both the topology.net and the cfg config file in the one initial download. If I buy your books is there an option to print a receipt? The zipped files with the Labs. What do I need to open them? To start page congratulate this good. That there will be changes to the new CCNA exam from October 1 2013, CCNA X, I would like to see if I know the current or the new certification exam. I bought the PDF format of your ccnp routing book because there were no hardbook available (they were not released yet). Is there any way to get the CCNP routing hardbook without having to pay the total cost of it? I just purchased your TSHOOT paperback via amazon…How do I download the electronic version? Ik ben vast van plan om na mijn CCNP ook voor CCIE door te gaan 🙂 Jij hebt me goed opweg gezet hiervoor met deze labs! Ik vond je video van je CCIE lab met de breakout box maar kan je me zeggen waar ik hier mee info over vind? Alvast bedankt! Just now I’ve ordered your CCNP trio. Just wanted you to know and thank you again. When you have a sec, could you please let me know which labs from CCNP Route I should be concentrating on? Hi Rene. I am having a hard time connecting a 2950 switch to a 3725 router in GNS3. Can you please help? I used etherswitch module and fastethernet1/0 to connect to Switch f0/1. But the Router f1/0 is showing to be self-looped and I can’t get connectivity. LAB Video is not fully accessible. kindly confirm what is charge for LAB Video. I want to ask you that if I buy your ebook after buy when I can read ebook ? if I buy on VISA card online. I purchase the CCNP TSHOOT book last week from Amazon and wanted to see if you can send me this in PDF format as well this way i can read everyday without having to bring the book everywhere i go. "Thanks for your effort, Rene. This book was fantastic. I needed to re-certify my CCNP and this book along with the associated labs are by far the best resource that I’ve come across. I got up to speed with the current TSHOOT exam in 2 weeks, and easily passed today! Before I found your site, I’d started cobbling routers I have lying around together with GNS3 labs of my own, but you saved me SOOOOO much time and frustration! I have a new born, and I was seriously considering letting my certifications lapse, but thankfully I your site! You’re awesome, 5 stars. I hope you release CCIE literature some day!" Does the hard copy for "how to master ccnp route" come in color or is it in just black and white. Also, what is the difference between the amazon version and createspace version hard copy? How do I download the topologies there is no link to download them. Hey! I was wondering if this package is up-to-date with the latest Cisco specification? I know the CCNA is now 201-202 and the ICND1 is 101 and ICND is 102. Thanks. I have tried several times to buy books and can not complete the purchase. I tried with Mexican Pesos and USD. The error is the same. Can anyone help me to complete the purchase. I am trying to do some Labs but i can not download the topology file , I am registered but i see this message on the place where the topology file should be. "You need to register to download the GNS3 Topology File. (Registration is Free!) "
Thank you very much for your cisco very well underway, I also bought your books help me a lot. I wanted to ask if you could advise me an order to the lab in the modules, qos, mpls, multicast, network services, security and network management. I do not know in what order to chain the content of each module. Thank you for this site, Can I enter my own scenarios ? I purchased your ROUTE book recently. I’m a few pages in and I already love it! I actually posted on the Forum today but am unable to post a Word doc showing a network diagram. Any idea why the attachment isn’t attaching? Loving the site. I’m definitely going to be using it more as time goes on. I am really a big fan of you, as the study material you been provided is very useful to me. lot of concept have been cleared with your provided LAB’s and study material. thanks for your extra-ordinary material and thanks to GNS3 vault. There are some LAB’s which Video’s are not available, would request you if you can provide videos which will really really help us to elevate our carrier. secondly i am self studying student and wanted to buy HOW TO MASTER CCNA. is PDF version is printable?? so that easy to read. I recently bought the complete set of CCNP books from Amazon. It will get here by the end of next week. Is it feasible to email the PDF versions, so I can start my studies. Just wanted to thanks you for all your efforts you have put together here which is phenomenal!! I keep getting an invalid token when attempting to register on your website. 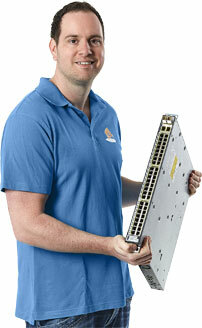 The one question I had was regarding the physical switches needed to accomplish your CCNP Switch Labs. I may be able to get 2 3550 switches and only 1 2950 switch. I imagine the 2550 still has all of the capabilities of the 2950 with the included routing capabilities. Will this work for those labs and/or do you reccomend it? I am trying to create an account on this site, and I get an invalid token error, can you please help. I also registered in this site,but i can’t login ,its showing the user is blocked.Please somebody help . And i didn’t get any activation code to activate as well,which could be the reason for the error. Could you help with a good link for downloading 3640 IOS? If you’d rather email the link, that would be fine. Much appreciated! Please disregard Rene. I have the IOS now. Thanks anyway. Sorry, the previous was my message. Forgot that I wasn’t logged in.